Concerned residents in parts of Ennis say they’re living in ‘mortal fear’ of an accident at dangerous junctions on their roads. A group people living in the county town is lobbying the county council in an effort to have measures taken to ensure the roads around their homes are safe. This week’s monthly meeting of Clare County Council heard a motion from Independent Shannon Councillor Gerry Flynn to address safety concerns at all junctions throughout the county. The motion was born out of concern raised by residents in a number of areas around Ennis in particular, who say they’re forced to navigate treacherous junctions at times. Among them is Helen Meade, who lives on the Shanaway Road. In reply, the council has stated that safety at these junctions remains a priority for them and that many have already successfully been treated. 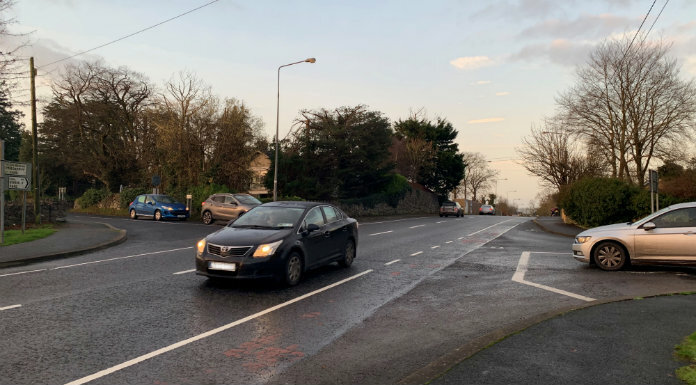 The junction of the Shanaway Road and the N85 Lahinch Road is one which the council has highlighted as currently under design. But while that goes on, the concern remains – Joe Carmody is a neighbour of Helen’s. The council’s reply goes on to state that the number and severity of accidents determines a priority list and the Department of Transport allocates funds on the basis of that ranking. But it’s claimed these issues are widespread and they can’t be allocated funding in this way. Across town on the Tulla Road, Eamon Corry lives just off the only crossroads along that route without a roundabout. For now, these residents say they will continue to lobby for something to be done but in the meantime, they’re appealing to all road users to slow down and arrive alive.